We courteously ask that you not disclose any of your account information via our website or through email. You will need to call the location that you originally obtained your title loan or title pawn through and ask for their assistance with any of your account questions or concerns. Auto Money thanks you for your cooperation. Please visit our Locations page to get the contact info for your local office. It’s Time to Get Back on the Road to Financial Freedom. As the leader in title loans and title pawns throughout South Carolina and Georgia, Auto Money can help you get the cash you need fast – no matter your credit score! The process is easy, so let’s get started! Bring in your vehicle with a lien-free title and fill out our quick and easy application. Applications must be completed in person, but you can start the process by inquiring online! 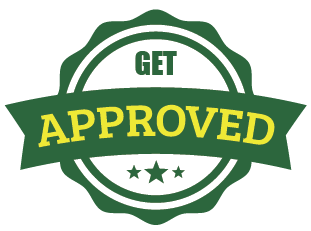 Get approved instantly for up to $20,000 cash! * No credit check. No hassle. No stress. Get your cash in less than an hour! It doesn’t matter if you have good credit, bad credit or no credit at all! At Auto Money, your title serves as collateral – so we don’t even check your credit. 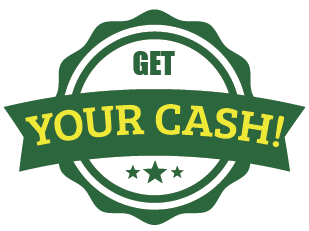 Your credit has no bearing on your approval or the amount you receive, which means you can have cash in your hand in less than an hour! In the midst of financial hardship, many people assume they have no choice but to sell their car. Auto Money offers an alternative! Get fast cash for your title while keeping your vehicle so you can continue to get where you need to go. 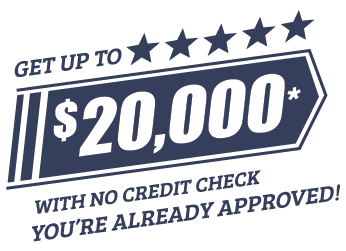 Auto Money offers instant approval for up to $20,000 cash! Visit your nearest Auto Money location, fill out an application and have your vehicle evaluated by one of our expert appraisers. We work with you to get you the money you need fast! Our process is designed to get you the cash you need fast, ensuring you’re back on the road in less than one hour. Step on the gas and head to Auto Money today! Our friendly, experienced staff will get you in and out in no time. If you have a title loan or title pawn with another company, Auto Money may pay it off at a lower interest rate! A title loan is a quick and easy way to get the cash you need, using your vehicle’s title for collateral instead of your credit score. The amount will be determined by our expert appraisers. Auto Money offers competitive interest rates and gives you the most money for your title with instant approval. And the best part is, you get to keep driving your vehicle! Disclaimer: This is a high interest loan. You should go to another source if you have the ability to borrow at a lower rate of interest. You are placing your vehicle at risk if you default on this loan. A title pawn is a quick and easy way to get the cash you need, using your vehicle’s title as collateral towards borrowing money. At our Georgia Auto Money stores, you have 30 days to repay the title pawn. If you are unable to pay off the balance within 30 days, Auto Money’s professional and courteous staff is available to discuss repayment options with you. Title loan transactions are prohibited within the state of North Carolina. * $20,000 instant approval loan or pawn amount is the maximum an applicant can receive. Actual amount of title loan or title pawn is subject to vehicle appraisal by an Auto Money employee and a complete application is required to be submitted and approved in-person by the party requesting a title loan or title pawn. Certain limitations apply. All title loans or title pawns issued by Auto Money are subject to customer’s ability to repay the title loan or title pawn. Disclosure: This website is a solicitation for an auto title loan or title pawn. This solicitation is not a unilateral contract or a guaranteed offer. All title loans and title pawns and the amount of the title loans and title pawns are subject to Auto Money’s approval that is contingent on several underwriting factors such as a completed loan or pawn application, your employment status, monthly income and a vehicle evaluation. South Carolina Disclaimer: A title loans is a high interest option. You should go to another source if you have the ability to borrow at a lower rate of interest. You are placing your vehicle at risk if you default on this loan. Georgia Disclaimer: A title pawn is a high interest option. The title pawn may be paid off early, but you are not entitled to a refund of any interest charged. Your full payment is due on or before the due date. It is your responsibility to contact Auto Money to request an extension. Failure to pay at least the interest due by your due date may result in further collection activity. If your title pawn enters the grace period, you may not be eligible to extend the pawn for an additional thirty-day period. North Carolina Disclaimer: Title loan transactions are prohibited within the state of North Carolina. $20,000 instant approval loan or pawn amount is the maximum an applicant can receive. Actual amount of title loan or title pawn is subject to vehicle appraisal by an Auto Money employee and a complete application is required to be submitted and approved in-person by the party requesting a title loan or title pawn. Certain limitations apply. All title loans and title pawns issued by Auto Money Title loans and title pawns are subject to customer’s ability to repay the title loan or title pawn. www.automoneytitle.com is not an online lender. Applications are not processed or approved online. 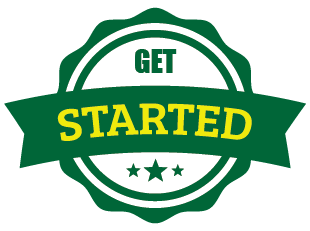 All information you submit to this website will be forwarded to the Auto Money office closest to the ZIP code you have provided for the purposes of contacting you about a title loan or title pawn. Once your information is received and processed, you will be contacted by an Auto Money representative. Submitting your application is an agreement to be contacted by a member of our staff. Attention current Auto Money customers: We courteously ask that you not disclose any of your account information via our website or through email. You will need to call the location that you originally obtained your title loan or title pawn through and ask for their assistance with any of your account questions or concerns. Auto Money thanks you for your cooperation. Please visit our Find a Location page to get the contact info for your local office.